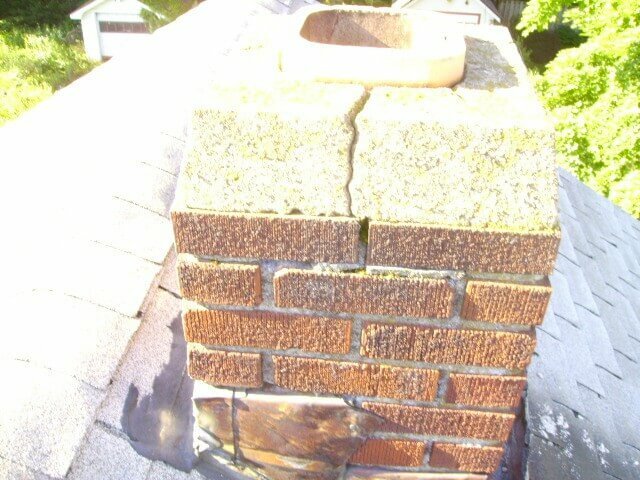 Water causes more damage to masonry chimney’s than fire. 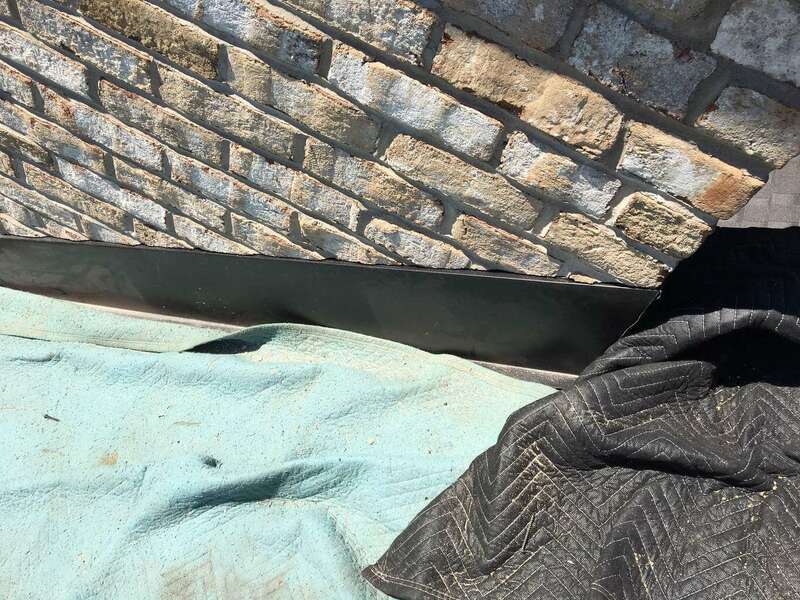 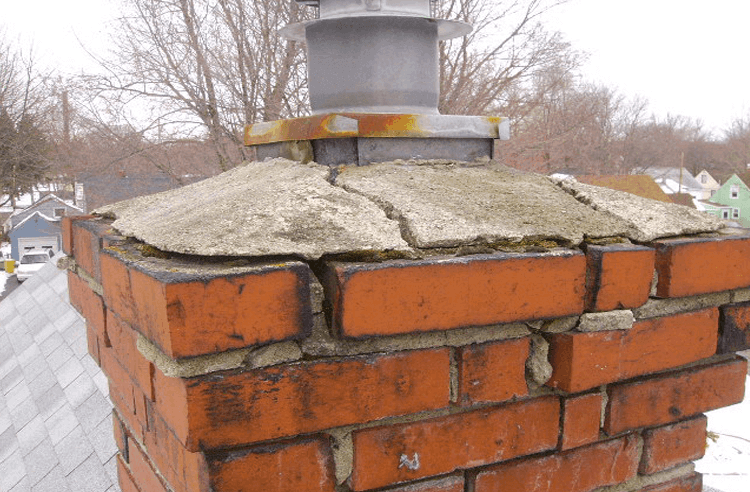 Think about it, all brick and other materials that make up your home are protected by the roof and eave, all that except your chimney. Chimney’s stick up above the roof constantly exposed to all the elements; rain, snow, and freeze/thaw cycles. 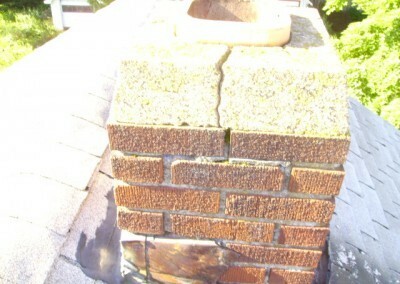 Water causes more damage to masonry chimney’s than fire. 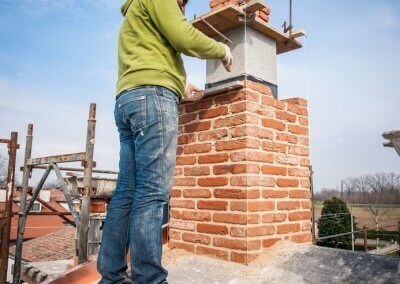 Masonry chimneys are constructed of a variety of masonry and metal materials, including brick, mortar, tile, steel and cast iron. 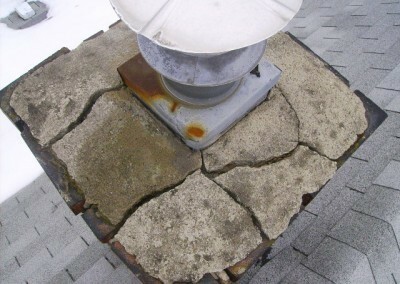 All will suffer accelerated deterioration, resulting from prolonged contact with water. 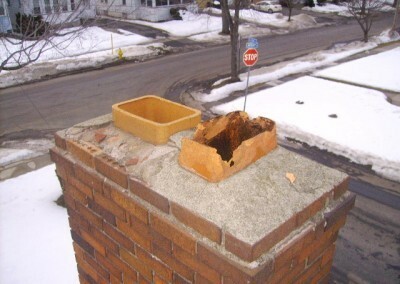 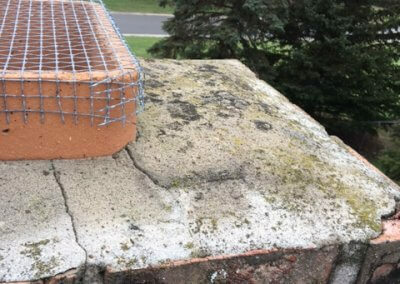 Masonry material deteriorates quickly when exposed to the freeze/thaw process. 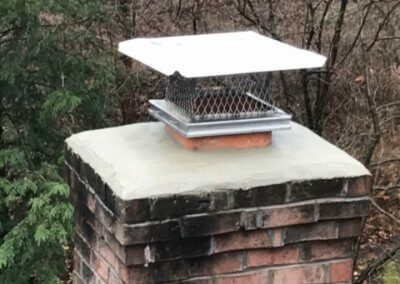 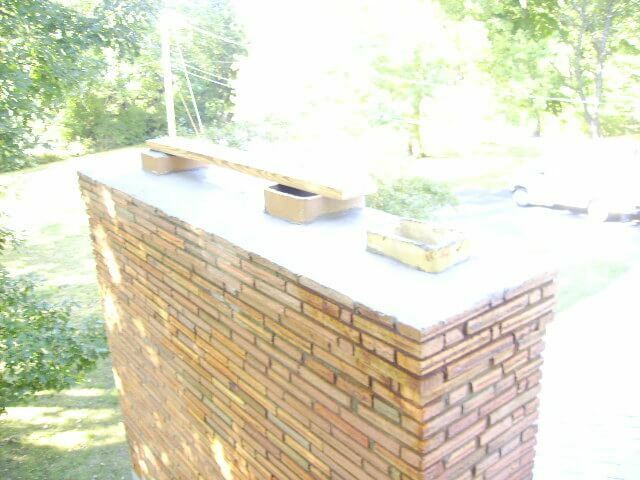 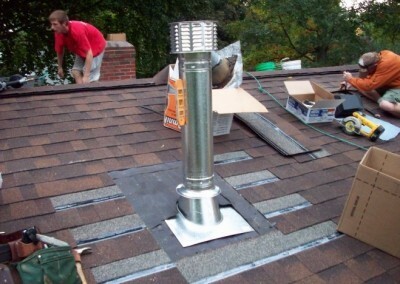 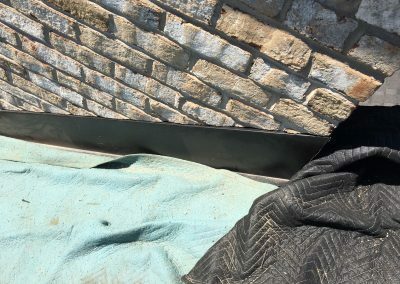 Install chimney caps (rain covers): keeps water and animals out- inexpensive. 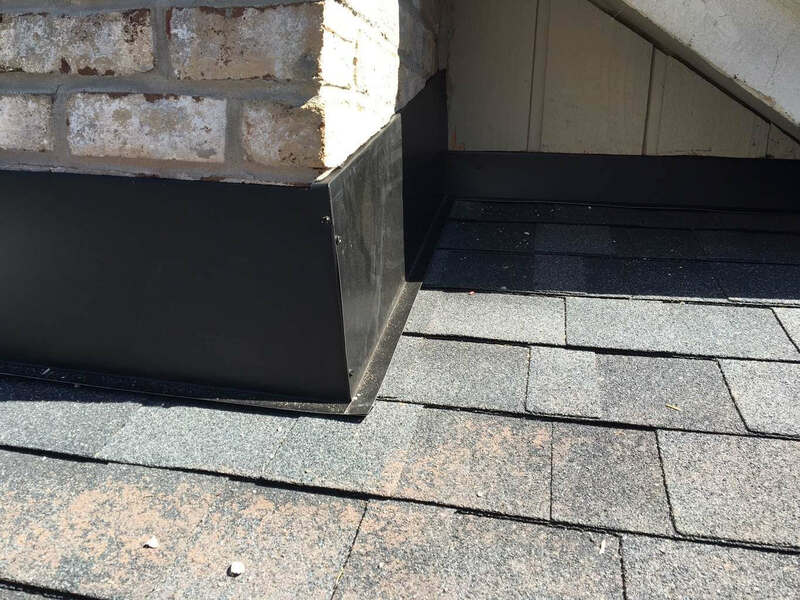 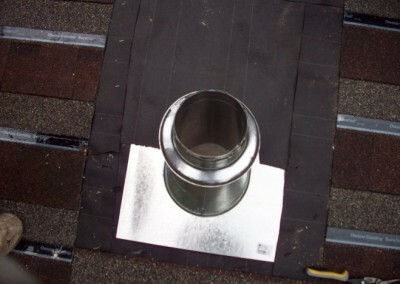 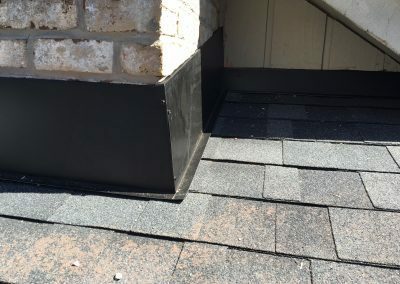 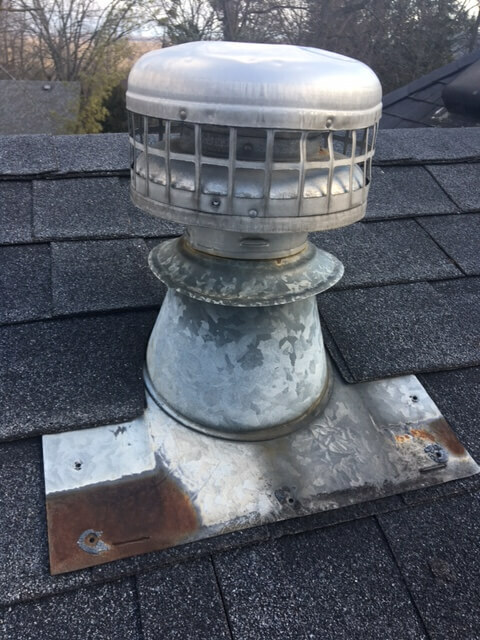 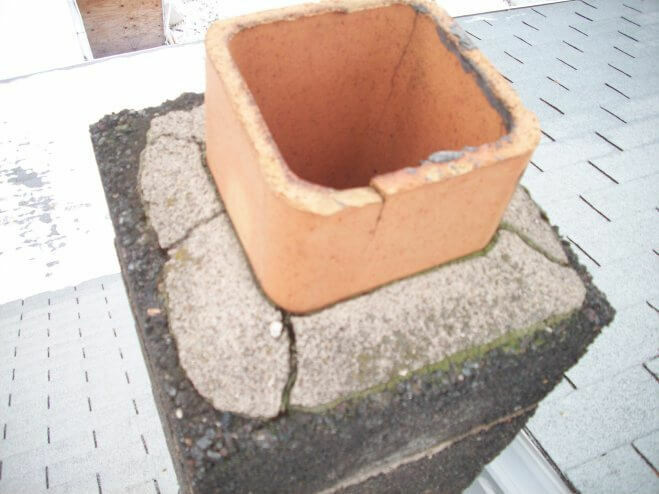 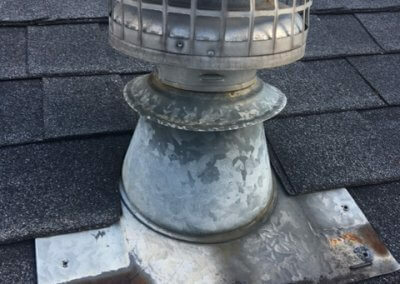 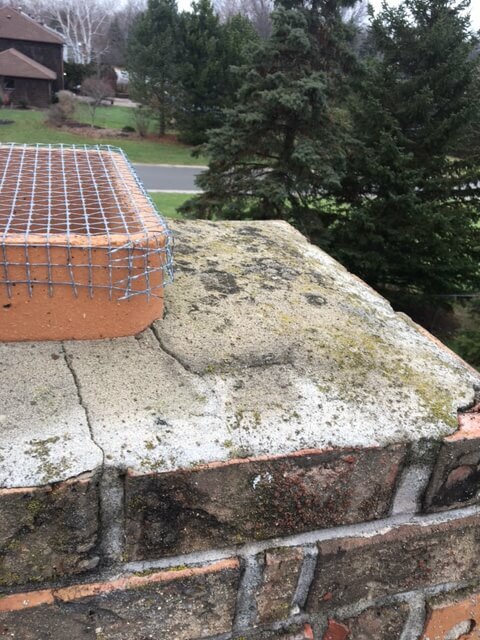 Repair/Replace flashing- this is the crown seal between the roofing material and the chimney. 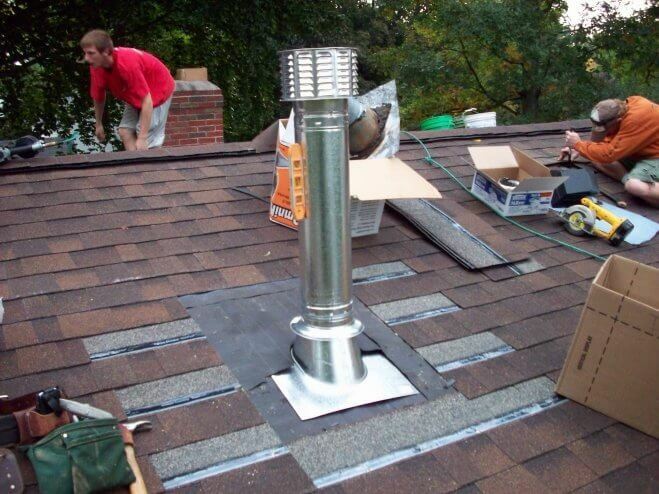 Prevents rain water from running down the chimney into living spaces. 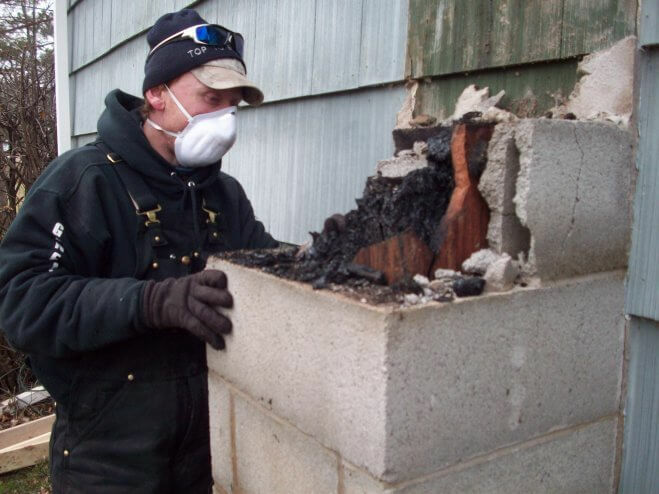 The US Consumer Product Safety Commission reports that 23,600 residential fires in the 50 states were related to solid fuel appliances and equipment. 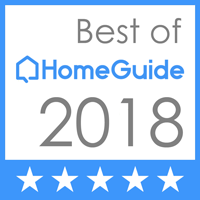 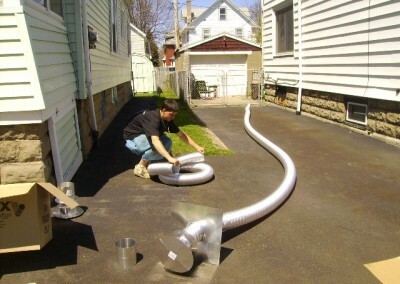 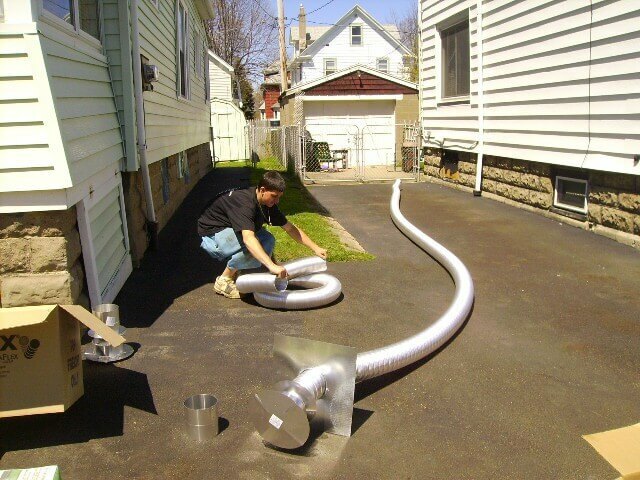 Threat of chimney fires and unsafe indoor air quality conditions can be greatly reduced, perhaps even eliminated, if homeowners understood that chimneys are active home operation systems, which require regular maintenance. 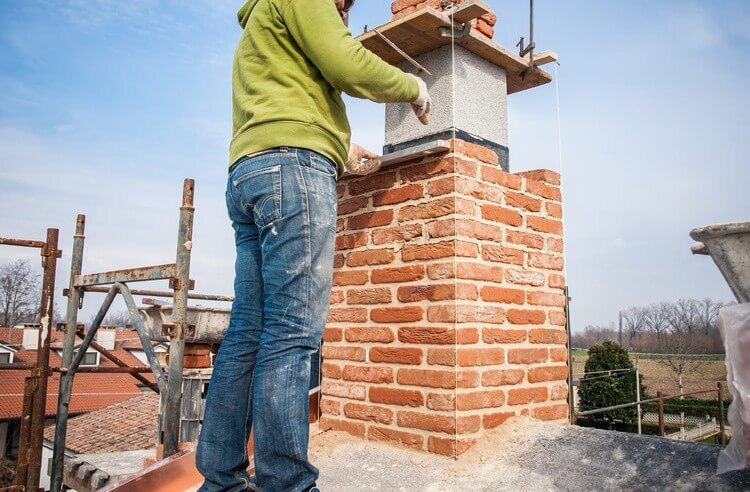 The basic task of a chimney sweep is to clean chimneys. 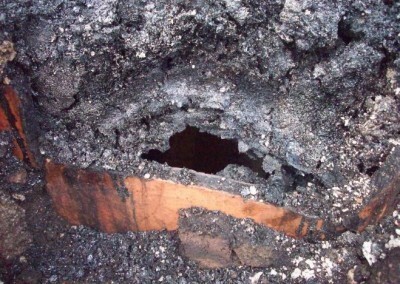 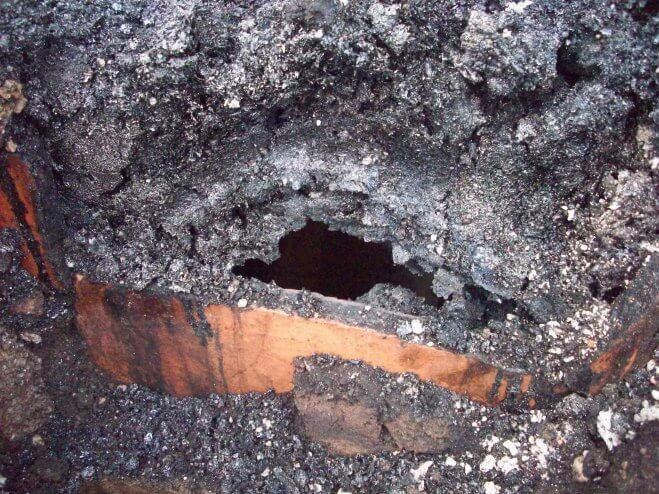 Cleaning means removing the hazard of accumulated and high combustible creosote produces by burning wood and wood products. 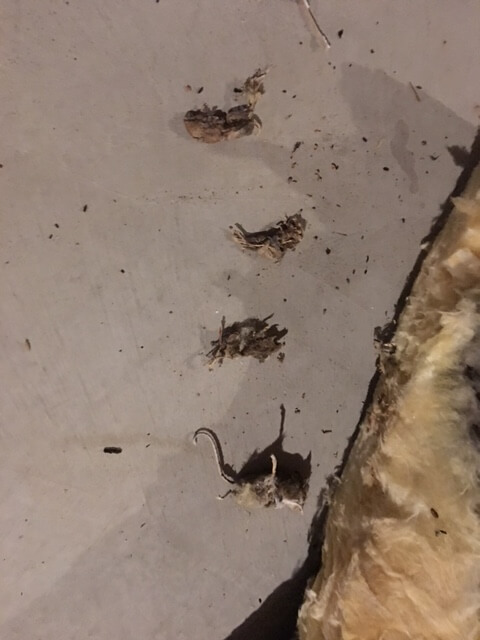 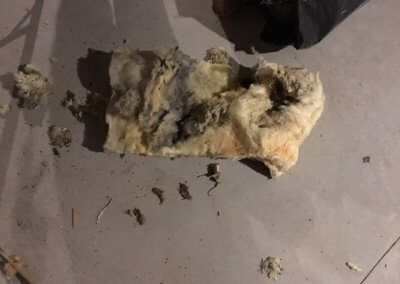 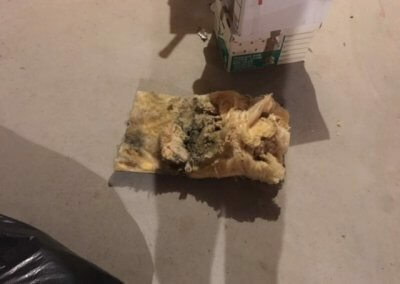 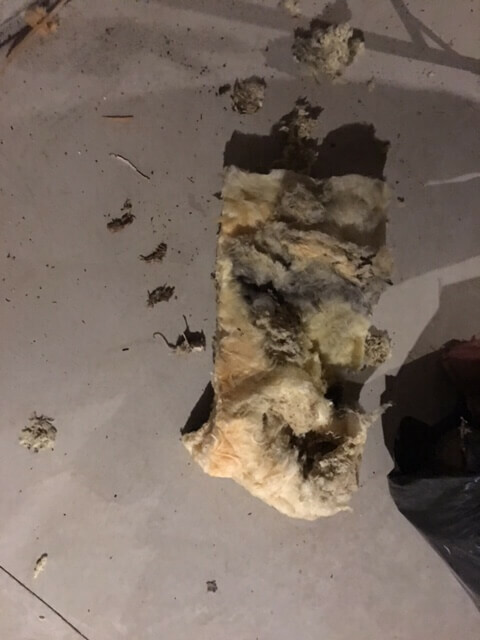 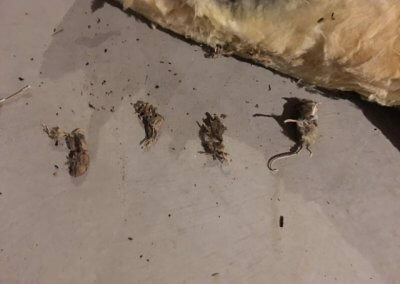 Eliminating the build-up of soot and coal-and oil-fired systems, it means getting rid of bird and animal nests, leaves, and other debris that may create a hazard by blocking the flow of emissions from a home heating appliance. 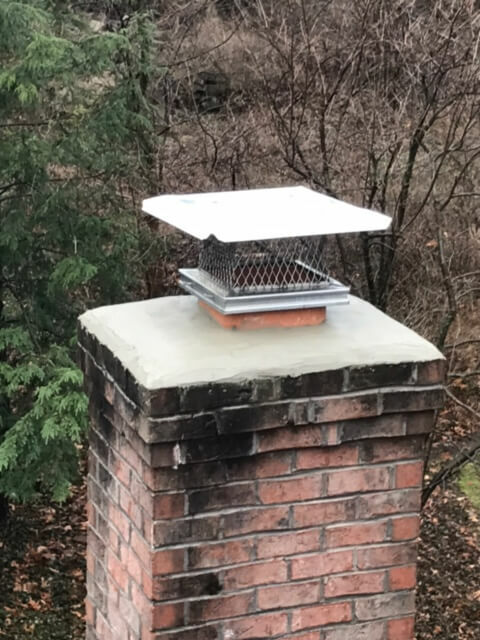 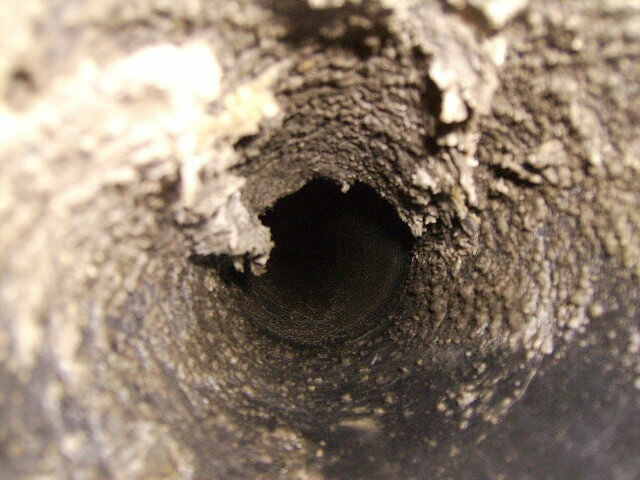 HOW OFTEN SHOULD MY CHIMNEY BE INSPECTED ? Cracks or crevices caused by builder negligence. 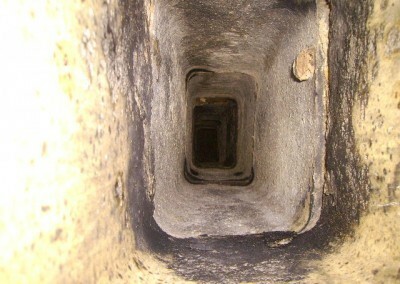 Normal settling of the chimney. 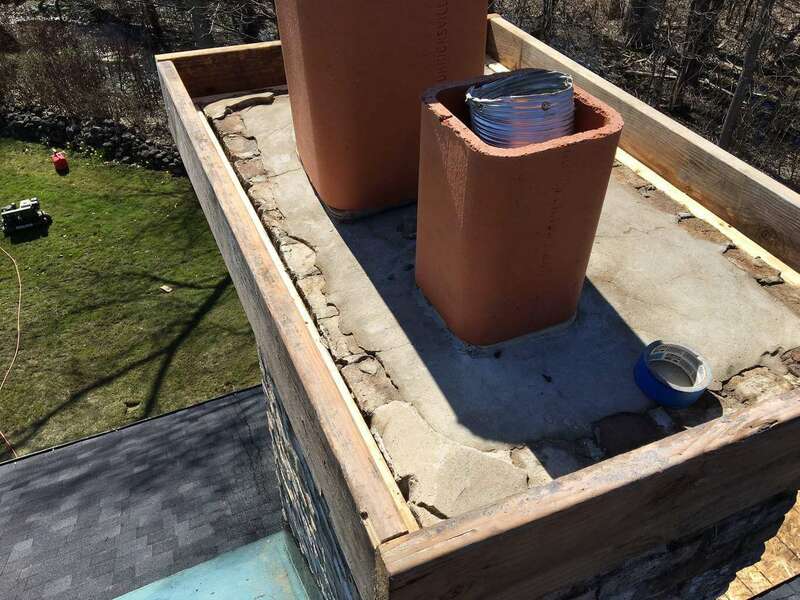 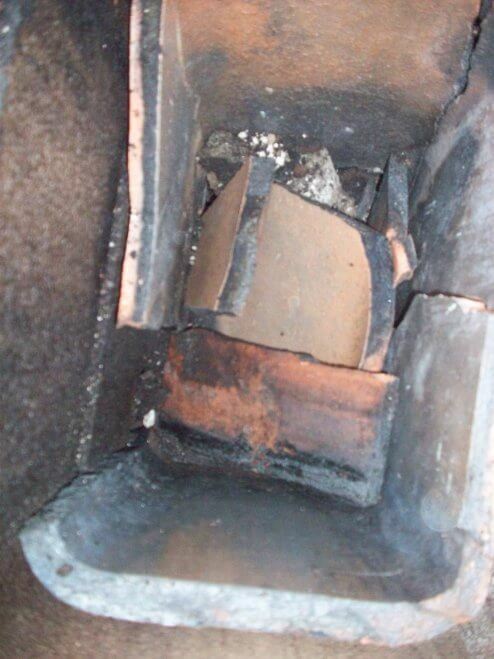 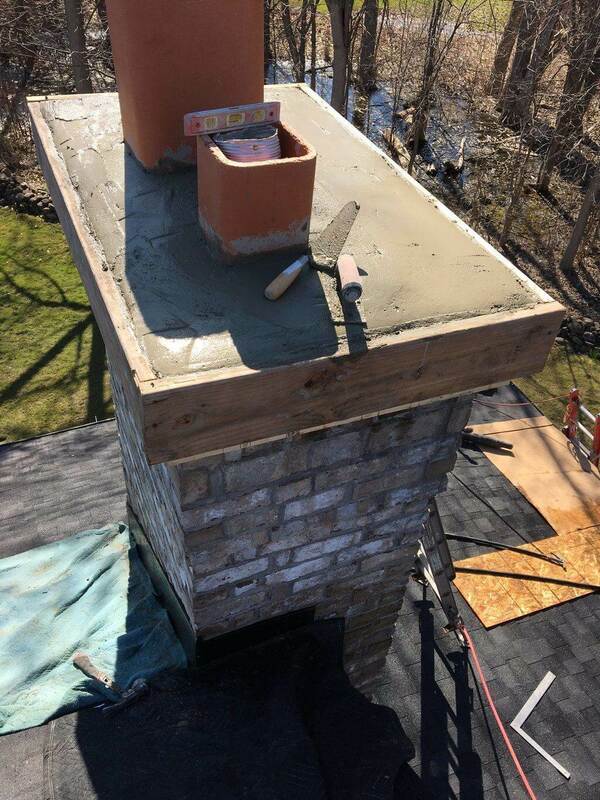 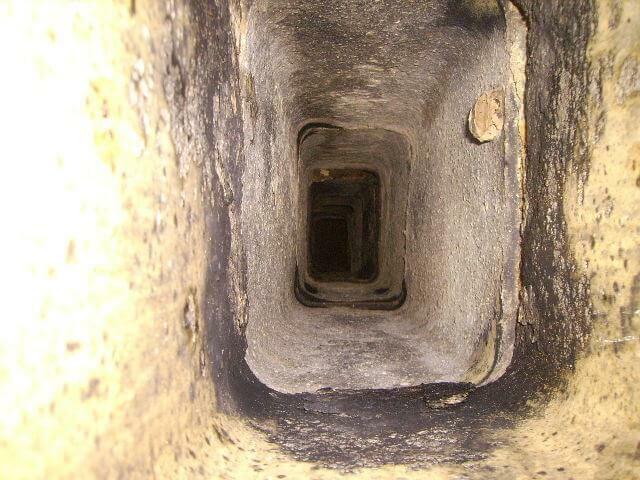 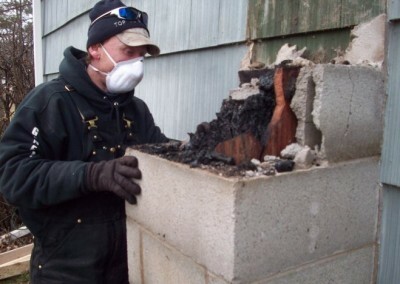 Did you know that chimney repair is not ordinary masonry work? 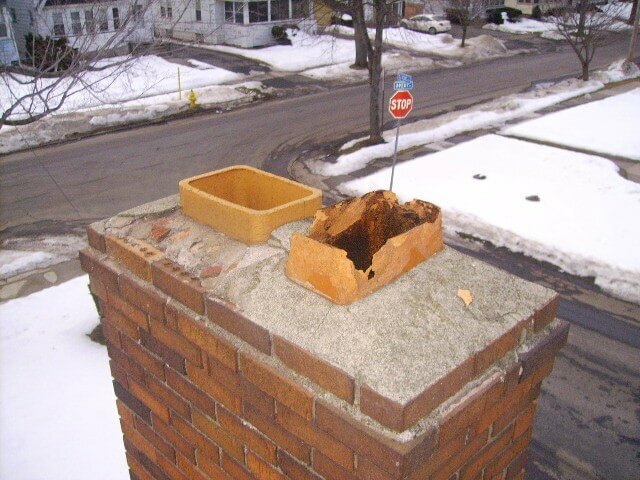 Only brick and stonemasons that know building code and chimney physics should be allowed to repair a chimney. We not only have a state license but we have two certifications for chimney repair. 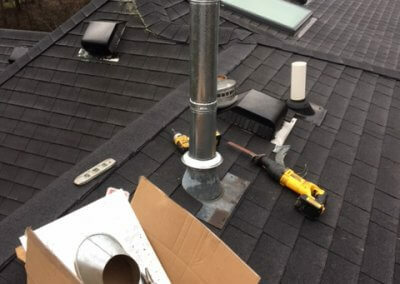 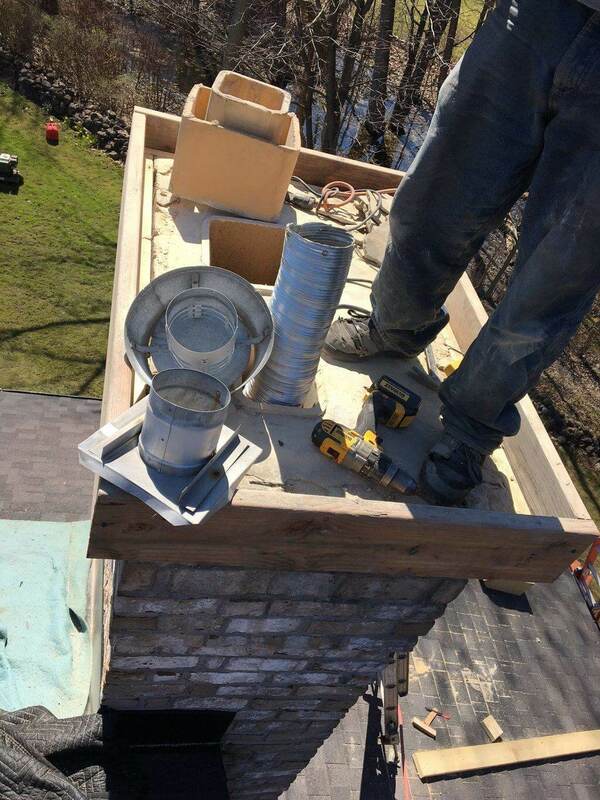 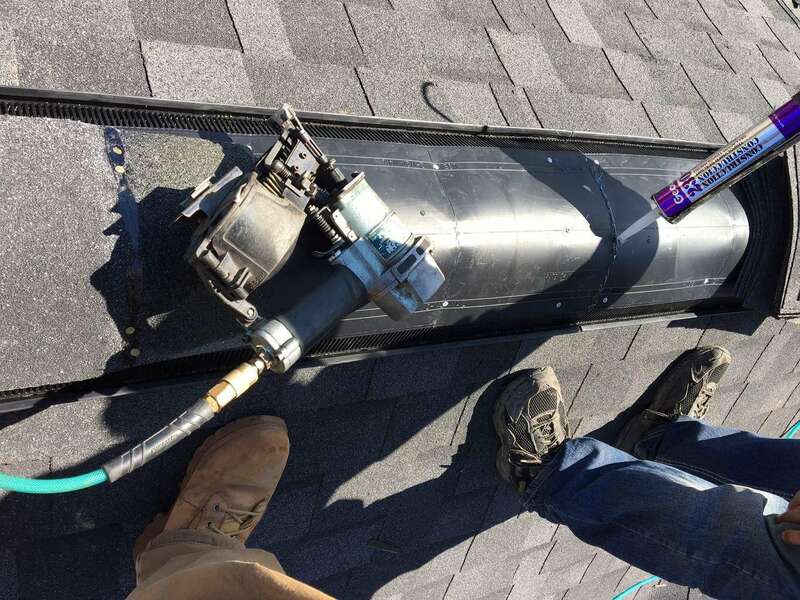 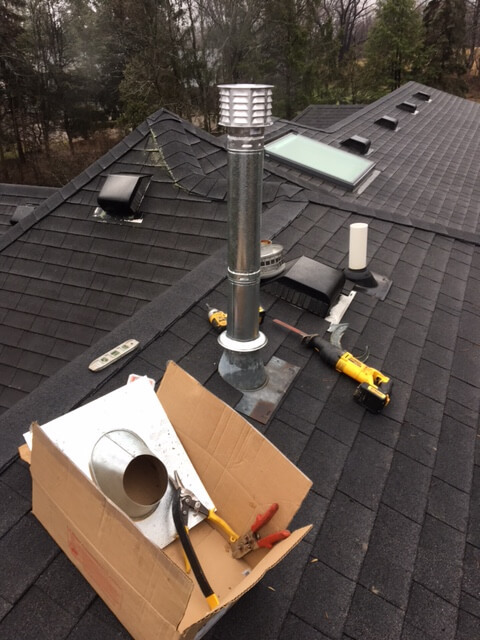 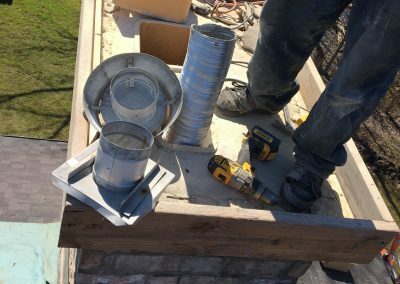 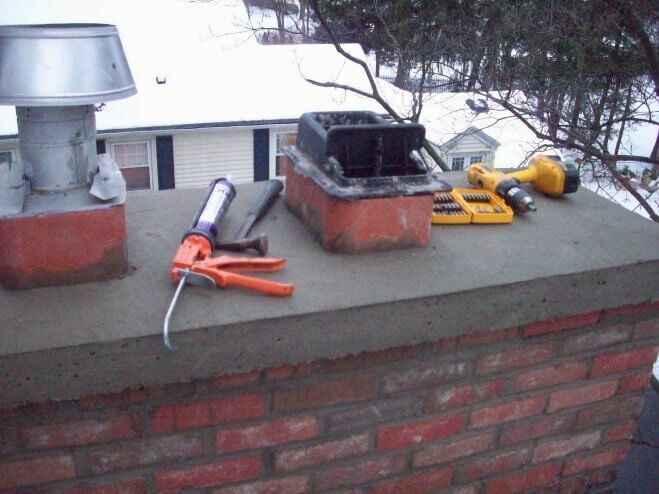 We offer minor repair work like replacing the top of your chimney or a complete rebuild – whatever is needed. 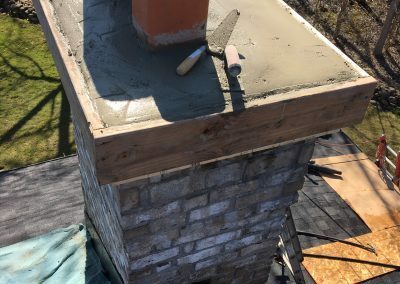 If you’re having us do a chimney repair, you may want to consider a price quote for that small concrete repair job you need done. 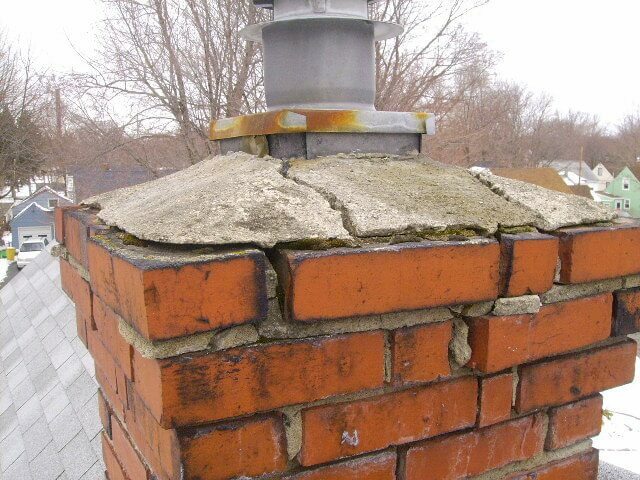 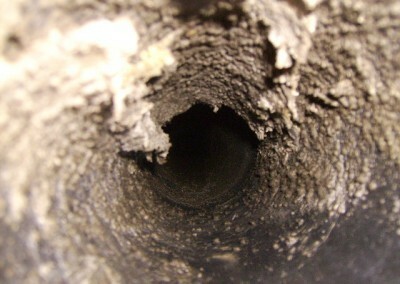 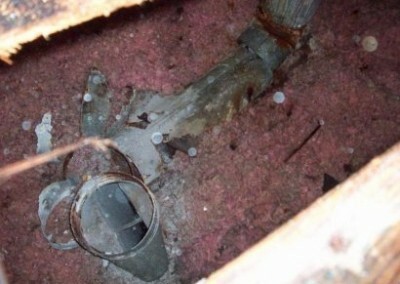 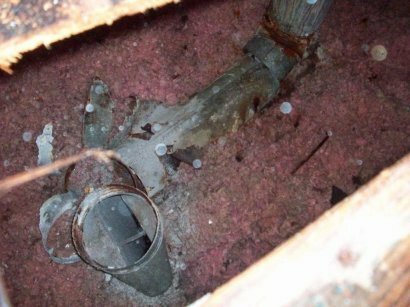 When work like this is combined with chimney repair you can save some serious money. 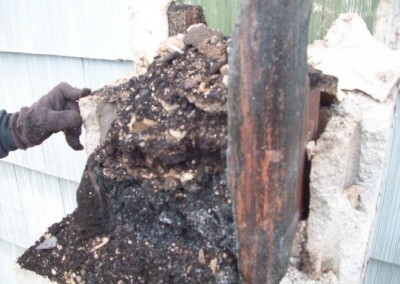 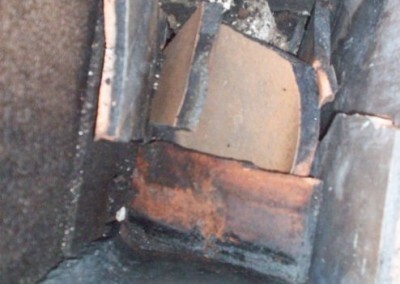 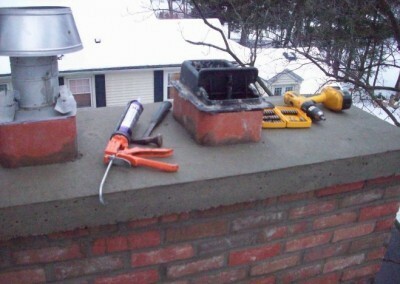 View examples of damaged chimneys as well as our chimney repair projects below.